Andrew and I love driving up to Seattle, the Emerald City, for weekend getaways! Every time we go, we always discover new places and things to do. There is never enough time in just one weekend to cover everything, but this time I think we did a pretty good job! Do you ever use VRBO or AirBnB? Check it out if you haven’t, it’s a great site to rent vacation rentals, everything from full furnished houses that sleep 20 to small condos and studios. They even have houseboats! We use this site every time we travel, it’s like renting home away from home with all the amenities. 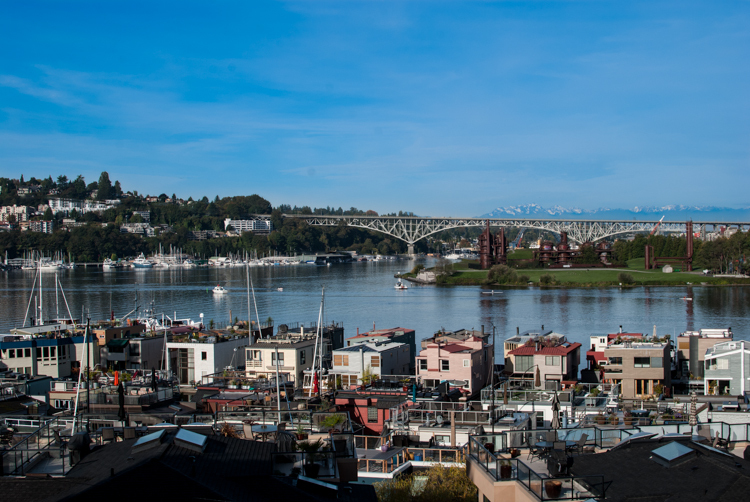 A fully stocked kitchen, comfy bed, and amazing views….and the parking is usually included! Much cheaper and cozier than a hotel! We usually score a really cool place on Lake Union, we love that view and it’s close enough to downtown, yet quiet in the evenings. This trip we had many things on our list…. 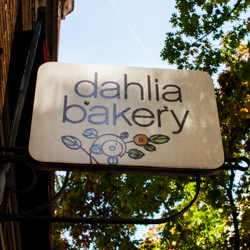 eat at one of Tom Douglas’s amazing restaurants, stop into Dahlia Bakery, visit Theo Chocolate factory, see the Chihuly Garden and Glass Museum, check out local parks, and of course act like a tourist and mossy our way through Pike’s Place Market….all in 3 days! 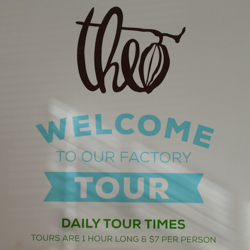 The Theo chocolate factory and Chihuly Museum will be separate posts, so make sure to come back and check them out! 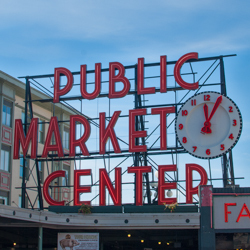 Pike’s Place Market is the coolest outdoor farmer’s market I’ve seen. 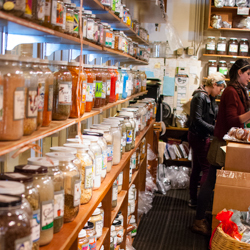 It’s open year round and full of vendors. 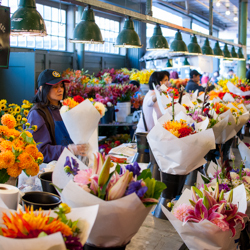 From fresh produce, fish, fresh cut flowers, baked goods, and DIY crafts. The produce always looks amazing! If I lived here, I think I would shop here every week! This place does get really packed in the summer months, luckily on our October trip, we had beautiful sunny weather. Across from the Market, is Post Alley with many shops and restaurants. 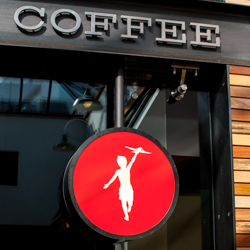 I had recently read about a new coffee shop on the second floor, called Storyville. One of the coolest, hippest, most beautiful coffee shops I have been in. 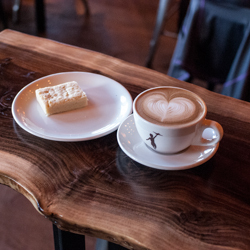 Gorgeous wood wraps the coffee counter, cozy couches and large stumps of wood in place of tables decorate the place, and the view through the large curved lofty windows leads out to Pike’s Market. Of course, the coffee was amazing!! 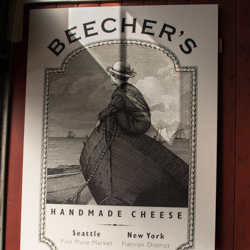 One place to definitely check out is Beecher’s Cheese. You can see them making cheese through the windows from the alley, and we heard they had some really awesome mac n cheese! They were right! No wonder there was a line out the street. Cheesy and creamy, it hit the spot as we wondered our way thru other shops. You could easily spend a whole day down here in the Market! 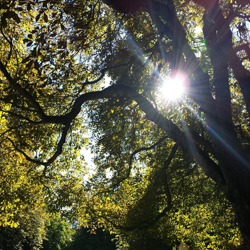 After we had our fill of the market, we drove up to Volunteer Park. Such a giant park in the middle of the city! It’s many many acres of lush trees and a gorgeous conservatory. 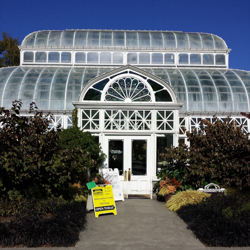 You can walk through the glass conservatory and check out all the beautiful plants. It was build in 1912! More on that in another post. 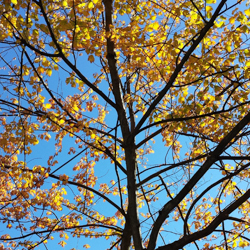 Of course, with so many things to do and see, I only scratched the surface ever so lightly. 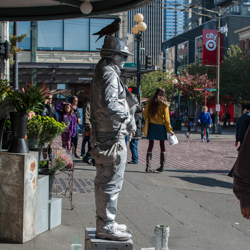 Seattle is a mecca of food, art, music, and everything in between. It’s our home away from home. 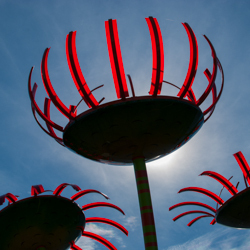 I do love the Sculpture Park on the water front, one thing I wish Portland would do! And the ferries, oh the ferries, you can take them to many of the little islands around the sound for a nice day trip, bring along your bike and bike your way around Bainbridge. One of our favorite activities in the summer months. 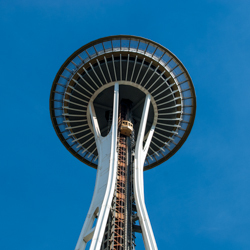 If there is one place and only one place you must visit before you leave, that is the view from Kerry Park! Amazing on a clear day, you see the city skyline and all it’s tall buildings. There are lots of people lined up taking pictures around sunset. A picture perfect postcard, it’s hard to believe this is a mere 10 minute drive from downtown! 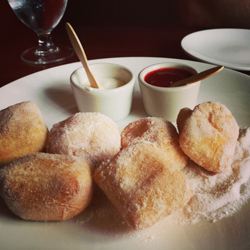 Your photos are beautiful and it looks like you hit up all the important places. :) Volunteer Park is one of my favorite places for a great view of the city! Thanks Emily! I have so many more to post…LOL!